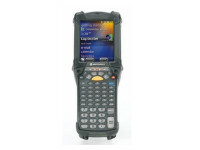 The MC9200 is the next generation in the industry-leading rugged MC9000 Series, now upgraded to support your next generation mobile applications. 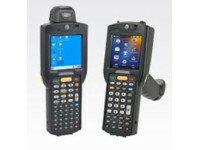 The rugged mobile computer that evolves to meet changing business needs brings you the same signature rugged design, best-in-class bar code scanning and dependable operation, now with the power to run applications with highlyintuitive interfaces that will further simplify processes and increase worker productivity in your toughest environments. 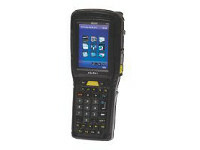 And you get well-proven technology you and your workers can count on — every day, millions of users around the world count on their MC9000 Series mobile computer to better manage inventory in warehouses and manufacturing plants, track baggage on airport tarmacs in any kind of weather and keep weaponry and vehicles on military bases in peak operating condition. 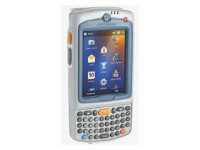 The MC9200 — the next evolution in the world’s leading mobile computer for demanding environments. A dual core 1 GHz processor, 2GB of Flash memory, up to 32GB of additional SD memory and Microsoft’s advanced mobile operating systems provide the power to run complex ERP applications — simultaneously. Support for the fastest Wi-Fi connection available today — 802.11n — provides your orkers with the best possible wireless voice and data experience. 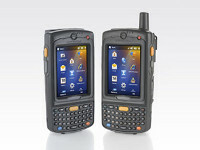 The 3.7 inch high-resolution backlit color VGA touchscreen display provides excellent readability — even in bright sunlight. Government-grade FIP S 140-2 Level 1 certification secures Wi-Fi and Bluetooth wireless communications, without impacting device or application performance. No matter what type of bar codes are in use in your facility, there is a scan engine option that is optimized for rapid-fire capture of 1D, 2D, driver’s license, DPM codes and more — even if the codes are dirty, damaged or poorly printed. Integrated sensors enable the MC9200 to recognize and automatically power down when the device is not in use, as well as record device drops for man-down and other applications. For countries outside USA, Canada or European Economic Area, consult your local Motorola representative.